I am blessed to have been raised by a mother who loved food and who believed preparing meals for loved ones was a work of the soul – for the soul. Cooking together and eating together was sacred family time, and the kitchens where I grew up were always where the greatest conversations happened. Despite raising three children as a single working mother, my mother always made our meal-time special, and my siblings and I grew up with a sense that sharing good food together was an essential part of what it meant to be family. I’m sure that it was no coincidence that my lifelong career in nonprofit service began when I was hired by the Los Angeles based Interfaith Hunger Coalition to start the first Certified Farmers’ Markets in California – back in 1979. That work, which evolved into something called the Hunger Organizing Team, set a fire in me – something that I call “Food System Change”. Decades later, I am still enamored with the idea that we the people can transform our food system. Along the way, I acquired decades of experience working to develop and support food system solutions like farmers’ markets, urban agriculture, horticulture therapy, school-based gardening. 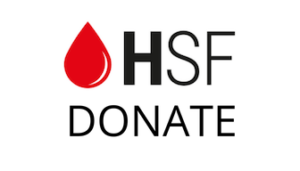 My current work at the Hypoglycemia Support Foundation focuses on education and community building that builds on cutting edge science and patient centered, grass roots advocacy. I consider myself incredibly fortunate to have had made a living doing this work. Along the way, some amazing men and women have shaped my thinking and practice in creating social and environmental change. Visionaries such as Mike Fonte, Pat Reif, and Gene Boutilier who led the ecumenical community in Los Angeles to embrace food security and access to healthy food to be primary matters of faith. Exceptional organizers and change agents like Dolores Carlos, Nancy Berlin, and Vance Corum who, as my colleagues and mentors, helped to shape my thinking and practice of being a community based organizer and agent of real change. As I have passed a milestone of 40 years of service in the field, my list of such positive influences is now quite long, so I won’t belabor them here. Roberta Ruggerio, my colleague, Soul-Sister, and Founder of the Hypoglycemia Support Foundation, is now on the top of this list. I am blessed to have Dr. Robert Lustig on the growing list, who is a pediatric endocrinologist at UCSF, a global champion for public health, and my distinguished co-founder of the Institute for Responsible Nutrition, where I served as Founding Executive Director. 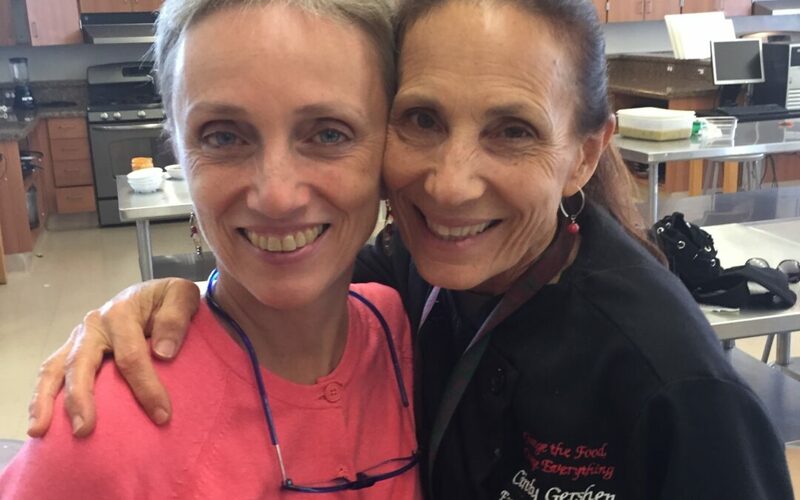 Dr. Lustig is well recognized around the world for his remarkable efforts to expose the processed food industry’s role in the global pandemic of metabolic disease, so I’m going to focus on two unsung heroes who are currently on the top of my list of influential people: Cindy Gershen and Dorothy Mullen. Cindy has an amazing history as a chef and restaurateur. After coming to terms with some of her own diet related health issues, Cindy decided to commit her life to creating food system change from within the schools, founded a nonprofit called the Wellness City Challenge, and has forged an exceptional model that places high school students at the epicenter of creating positive changes in their community located in Contra Costa County, California. 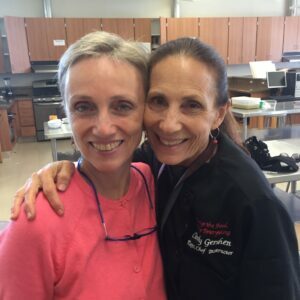 Her culinary teaching classroom is legendary, and she champions the idea that if you “change the food, you can change the future” of youth, families, school districts, and cities, even when resources are lacking. To witness Cindy and her small army of supporters is an inspiration, and you can’t help but get pulled into her vortex of food system change – not only because of her passion, but because she is presenting a highly effective model that can be scaled and replicated anywhere in the world. Like Cindy, Dorothy Mullen is a force of nature with a heart of gold and seemingly unlimited energy for making transformational change possible. There are various models for creating food system change – business models, organizational models, academic models, etc. Dorothy champions the community model – eschewing approaches that monetize change. Dorothy’s work in central New Jersey, known as the Suppers Programs, thrives on the currency of love and community, relationship building, powerful concepts such as “harm reduction,” and the idea that “logical miracles” are possible when your needs are met for nourishing food, social support, and having a safe place to experiment and self-observe (“how you feel is data”) while you change old habits. Dorothy and her co-founders have forged a powerful learn-by-doing approach for everyday folks who come together to cook, eat, taste, learn, and feel their way to vibrant health using whole, real food. No dietary dogma or bias – there are vegan, vegetarian and omnivore meetings. Here is a photo of Cindy and Dorothy meeting in Cindy’s classroom at Mt. Diablo High School in Concord. It is difficult to describe the power and energy of these two women without sounding a little mystical. The love in their hearts, passion for their work, and the intellectual force in their brains is so powerful that you can actually feel the energy. However, the true magic of their work is not ethereal but very real and rooted in years of hard work and practice in community settings, listening deeply, working, cooking, eating, and learning with thousands of everyday folks. One of the key strategies of the Hypoglycemia Support Foundation is the simple idea to “find the good and praise it”. When it comes to food system change, we don’t need to recreate the wheel, just become part of it. We know that there are many more Cindys and Dorothys around the country. I invite you to share your own journey of food, health, and discovery and to highlight some of the influential people in your world of food system change.